PITTSBURGH – The door to a quirky museum in Pittsburgh is decorated in many colorful bicycle reflectors that offer just a glimpse of what’s to come on the other side. 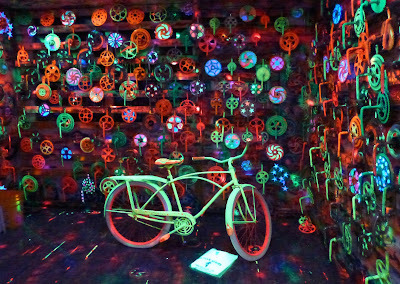 It opens to a narrow hall where dance music blares from speakers and a strobe light illuminates a row of bicycle forks hanging on a wall in what can be described as the Pearly Gates to Bicycle Heaven. 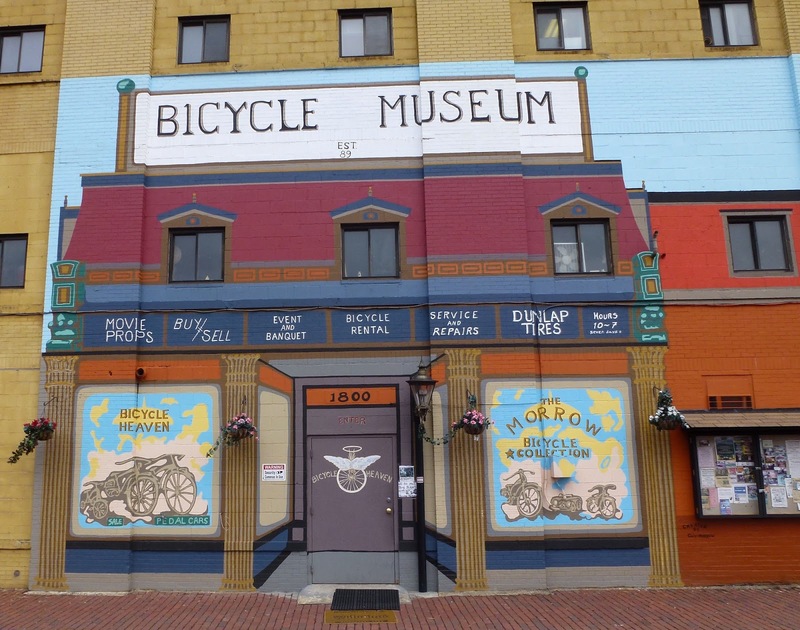 “I just want it to be a fun place,” said Craig Morrow, owner of this museum on the city’s North Side. Pink banana bicycle seats hang in rows from the ceiling, harking back to the 1960s when many rebel boys wanted to make their bikes resemble choppers. 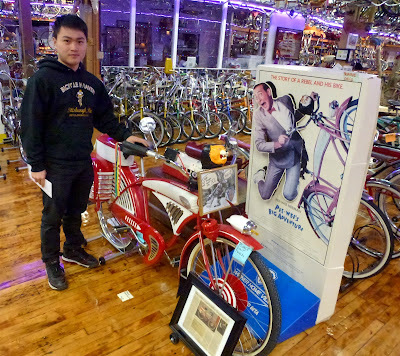 A statue of Elvis Presley wearing his immortalized white sequin jumpsuit stands guard nearby as if he is somehow the god of this bicycle paradise. 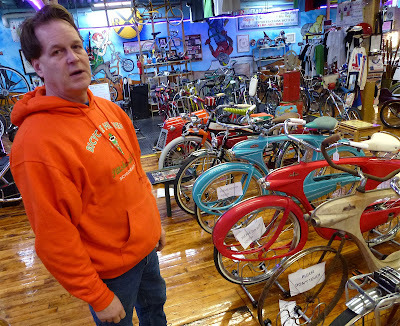 Morrow and his wife, Mindy, created Bicycle Heaven three years ago in the sprawling R.J. Casey Industrial Park, pulling together nearly 3,000 bikes they had been collecting for three decades and storing in garages across Pittsburgh. 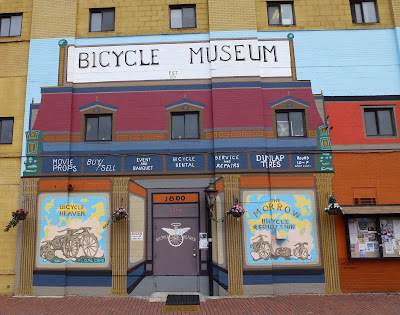 The business at 1800 Preble Ave. is situated on the northwest end of the 150-mile Great Allegheny Passage, a bicycle trail following an old rail line between Pittsburgh and Cumberland, Md. Some of his bicycles are on loan to the new movie, “Fathers and Daughters,” being filmed in Pittsburgh and starring Russell Crowe. Morrow said he has always liked bicycles and created this business after having performed auto body work and growing sick of paint fumes. 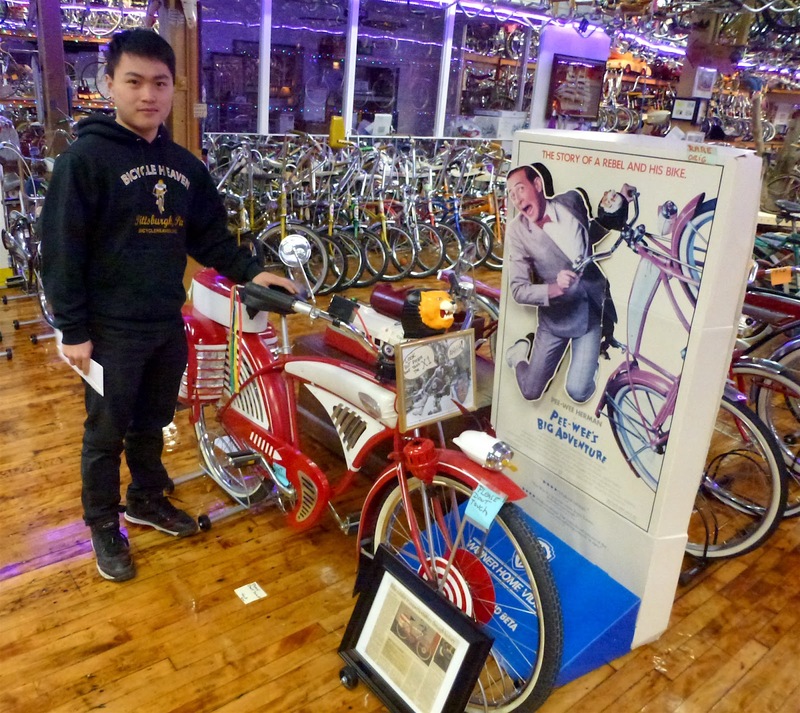 It was great timing, he said, because the use of bicycles has been soaring in Pittsburgh. Among Morrow’s other passions is catching bike thieves. “Bike theft right now is out of the roof,” he said. His favorites in the museum are the rare Bowden Spacelanders from the 1940s. Benjamin Bowden, a British industrial designer, made 50 of these space-age bicycles that were not successful on the market. Only 30 of them are known to exist. 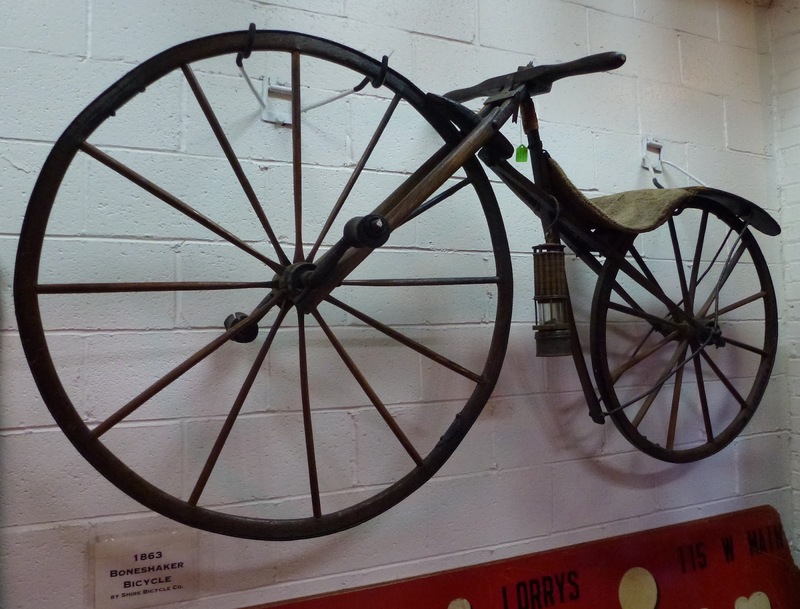 The oldest item in the collection is an 1863 wooden Boneshaker, so named because it was uncomfortable to ride. Bicycle Heaven even has a nail salon and massage parlor. “If you come off the trail and need a back massage, it is part of the museum,” Morrow said. (This story first appeared in the April 2015 edition of Living Washington County magazine, a publication of the Observer-Reporter in Washington, Pa.